It was unanimous: Matthew, Mark, Luke, and John have the Jews calling out the name Barabbas, calling out for Barabbas's release, calling for the crucifixion of Jesus, the other Son of God the Father. But only the overly zealous author of Matthew betrays the true intentions of this political fiction: to have the upstart religion of Christianity sever all ties to the Jewish religion, for "ethical" monotheism to inflict its fatal auto-immunization, a self-sacrifice. Matthew's indiscreet supplement is the original libel. A people intimate with blood would never call out for His blood to be on their heads and on the heads of their children. That was a curse reserved for the most detested of enemies, which is precisely how the Cult of Jesus would have the Romans understand their relationship with the Jews. But Matthew puts these words in the Jews' own mouths, attempting to absolve himself of the necessary consequences of his account. Thursday morning prophetic dreams of false memories startled me awake twice in a matter of hours. My first nightmare consisted of the phone at my grandparents' house ringing with the call announcing the death of their youngest son. My aunts who were still living at home were sternly hushed as the television volume was lowered on the Ed Sullivan Show. It was October 31, 1965, a Sunday evening. In the second nightmare I was riding in a Jeep with my uncle, my namesake, in South Vietnam. There was a flash, a crash, an explosion, that crippled the scene in grainy Zapruder slow-motion. The Second Vatican Council promulgated the Nostra Aetate on October 28, 1965. In effect, it was the Catholic Church's attempt to undo the damage done by Matthew's blood libel. It was a Thursday, the day my 19-year-old uncle was killed in Vietnam. It took three days for the news to reach a farm in East Texas. I imagine my grandmother baking a vanilla cake with white coconut frosting that Halloween, the day my uncle was turning--was to have turned--twenty. Even though I was born two-and-a-half years later, some of my earliest memories were false memories of that day when some government official dialed my grandparents' telephone number to perfunctorily deliver the news that would devastate my grandparents, my family, my father, and instill in me a lifetime of false memories about that day, those events, providing material for a lifetime of nightmares. In effect, the US government rendered me and my family guilty of a crime that it itself had committed. Forty-six years and counting. I wonder how many other calls were made by other government officials that day. I wonder how many other families are haunted by events that happened long before these bedeviled individuals were born. Perhaps in a couple more millennia some official will finally declare the end of my blood libel, the curses visited upon my family and me in the name of "freedom," "democracy," and those other phantoms and false gods. "Wash and make yourselves clean. Take your evil deeds out of my sight; stop doing wrong. Learn to do right; seek justice. Defend the oppressed. Take up the cause of the fatherless...."
"Intentionality" expresses the notion that all consciousness shows itself as consciousness of. 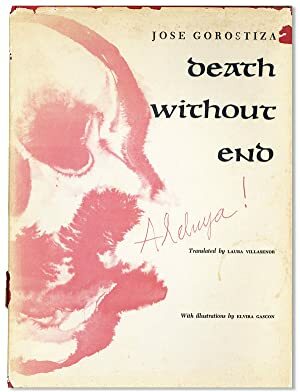 Therefore, with the employment of the phenomenological method, one escapes the interiority of egoistic solipsism and instead finds that the world and the mind are correlated with one another. “Things" in the material world impress themselves upon our human perception, and phenomenology, at its most basic, traces the mediation between pure ("subjective") idealistic perception and pure ("objective") positivistic materialism. By both dismissing as well as calling into question the metaphysical assumptions of the “thing" itself, the phenomenologist seeks to describe, to give an account of the ways—the structures of intentionality—in which the “thing" presents itself, even if such presentation “includes" its co-constituted absence(s). How is it that I can and do take the back side of the refrigerator, even if I have never had the experience of seeing it (or one) and even if I lack the rational ability to deduce it? 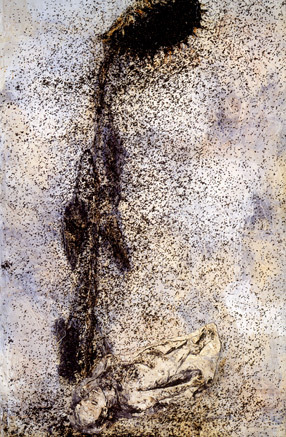 Kiefer is one of my favorite living artists, and I’m happy to live near Fort Worth, where many of his works are housed. I post this here not only because of my appreciation of his art but also because of the title: Sol Invictus—Latin for “invincible sun"—is the epithet for Mithra, whose birthday is celebrated on the winter solstice as part of the Zoroastrian/Persian festival Yalda. In 1992, I bought David Wojnarowicz’s Memories That Smell Like Gasoline for $15—a hefty price at the time for someone so underemployed and lost in the world. Later, when I entered graduate school and briefly thought I would devote my life to performance art, I adapted an excerpt into—despite Fred Curchack’s vita—a co-created performance entitled The Show. I’m lucky to be able to say that working with Curchack was one of the worst experiences as an adult, particularly since he didn’t behave like one. But despite developing interests in other areas, I have maintained my love and appreciation of Wojnarowicz. I’m glad he’s in the news again and that people are hearing his name and seeing his images, hearing his voice. When I pulled out his book this morning, I found a newspaper clipping announcing his death; I had written “22 July 92" at the lower righthand corner.